If you are a busy ‘go fast’ who wants it all without burning out this will be time to stop and take stock of where you are and gain some insights on ways to stay sane. In this article I’m going to reveal five steps to help you bring a sense of balance to all areas of your life. It begins with a single step A good place to start is to let go of your limits so you can achieve more without feeling overwhelmed or stressed. You know I have learnt that “perception is everything”. A few weeks ago I had a big reminder of that when I chose to run the Gold Coast Half Marathon. 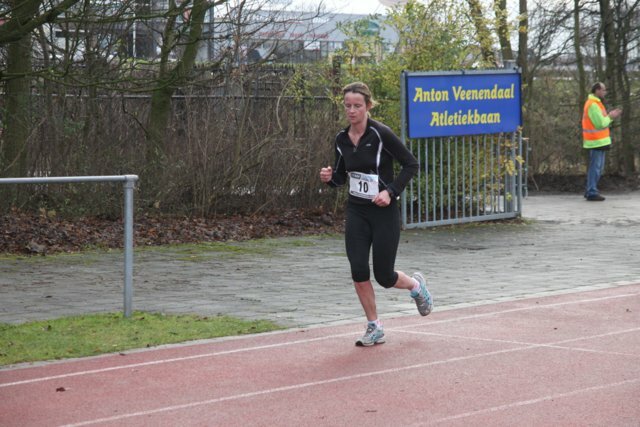 Prior to that the longest race I had run was a 10km. This race was to be double of what I was used to running but I had my head around it. The day before the race I chose to drive the route to see what I was in for and while driving the route I thought to myself, this is ok, it’s a flat course and beautiful running by the water. I then arrived at what I thought would be the turnaround point for half way and thought “excellent”, this is easy. The next day as I was running the race I came up to what I thought was going to be the half way mark to turn around and I looked across the road to the return part of the course and saw a drink station there. In that moment I started to go into overwhelm because seeing the drink station there told me that I was not at the half way mark and in fact I had about 1.5km to get to that point. The little voice in my head started to crank up feeding me negative thoughts about what was happening where what was really happening was that I was not at the half way point yet. The race was no longer, it was still the 21km but my expectations had not been met and I had the potential to go into overwhelm and possibly give up. Doing the work that I do and living consciously I was able to notice that this was happening and I slowed my run, took a few deep breaths and got my head around what was really happening compared to what the little voice in my head was telling me was happening. In daily life we are presented with situations where our expectations are not met and there is the potential to stress out and go into overwhelm. When your expectations are not met, realise that they are your expectations and not anyone else’s, stop, take a breath and see what is really happening and don’t get caught up in the negative stress of what you think is happening as they can be worlds apart. You can achieve anything. It’s all in your mind. Stop and breathe and make your mind work for you and then it’s all easy. It really is – just keep taking steps and moving forward. Joi de vivre The next strategy is to restore your zest and excitement for life. This is all about taking action. The difference with successful people is that they take action and recognize their achievements along the way. A few years ago I arrived at the end of the year feeling flatter than I expected and I sat to work out why. I made a list of some of the things I had accomplished in that year and I realized that I had written or completed second editions of five books. Most people won’t write five books in a lifetime and I had pumped out five in one year. Where I was human and got tired was that I never ticked off my goals as I went along. On a daily basis, focus on completing one element of a task and complete that first and tick it off your list. Actually physically make a list that you can tick. Just doing it in your mind does not work as well. Write them down because each little tick you make against that huge list that would usually overwhelm turns around and feeds you energy. Those are the first two strategies I want to share with you and I will share the other three in a minute. But before I go on, I want to ask you a question. What one thing would you do differently in your daily life if you felt more sane? Trust your intuition on this, don’t go looking for some big deep and meaningful answer. The first thing that pops in your head is generally a great place to start. As soon as it pops in your head write your one thing into your diary. You know life is short and if you keep waiting for the time to finish things and get sane you are going to be waiting for a long time because I am sure if you think back even to the last 12 months you have been running from project to project to project. Projects back to back and never ending in many cases. You know the secret to a happy life is to live it and don’t go just existing. So that one thing you just wrote down is a starting point for you. For instance if the one thing you wrote down was to eat better, right now, today, the place to start would be to go and have a balanced feed and then build on that. Give up the guilt and move on The next step is to release guilt from your life and keep moving forward. To do that first you need to notice when you are struggling and not moving forward. Just acknowledging it is the start. Times when you are struggling are the times that you generally give yourself the hardest time and yet these are the times you need to give yourself a break. Get that you are human and as much as you think you can control others you can’t. What you can control is your own life and how you respond to stresses as they occur. See life as a game that works for you and know that you can change the rules as you go along. It’s absolutely ok to be human and go off track sometimes. What is not ok is giving yourself a hard time as that immobilizes you from taking one step to get back on track guilt free. So if something is not working for you, turn it on its head and make it work for you. For instance if you are feeling low in energy and have been sitting at the desk or hanging out at home, turn what you are doing on its head and do the opposite to what you are doing. So get off your bum and go for a walk. Even if it is just around the office get up and move. If you are running around like a maniac in overwhelm stop or at least slow down and take a breath. To regain sanity turn what you are doing on its head. Play more The next step is to get more enjoyment and fun out of life and you do this by focusing on what you do have and then play with the people who feed you the most energy. If you have someone that is sucking the life out of you, let them go. Leave it up to them to make contact. Release contacting them through obligation. Even if you saw or heard from them one time less per year that’s one more chance to be happy and energized through the year. Do that for say 10 people and you have the potential of getting 10 days back in your life over a year. As we know the emotional draining that happens after being in contact with an energy sucker can last at least one day or more. So let go of obligation, release them and move on by playing with people the majority of the time who feed you energy. Unlimited vitality The final step is how to make more money in a recession by plugging into limitless energy. The secret to limitless energy is to live consciously and look at what is feeding you the most energy in your life and focus on and do more of that. In these times don’t go reinventing the wheel or starting everything from scratch. Focus your energy towards energy feeders in your business and personal life. In business give existing clients extra special attention and turn them into raving fans. Value what you do have. In this market it is even more important to never take anything or anyone for granted because you never know where it will lead now or in the future. Anything and everything is possible. Value all that you do and all those you connect with. In your personal life tap into energy feeding foods. Eat close to nature and treat yourself with respect. Treat your body like you would a client. You wouldn’t abuse a client so why go on abusing your body. The difference between having energy and not is behaving 90% of the time and giving yourself a break for being human the balance of the time. With everything you do in life, Live it, love it and get on with it. Take action one step at a time while you live close to nature. In my experience we can all get it together with a little support and a reality check now and then. Remember you are the only one in control of your life. Make your life work for you.